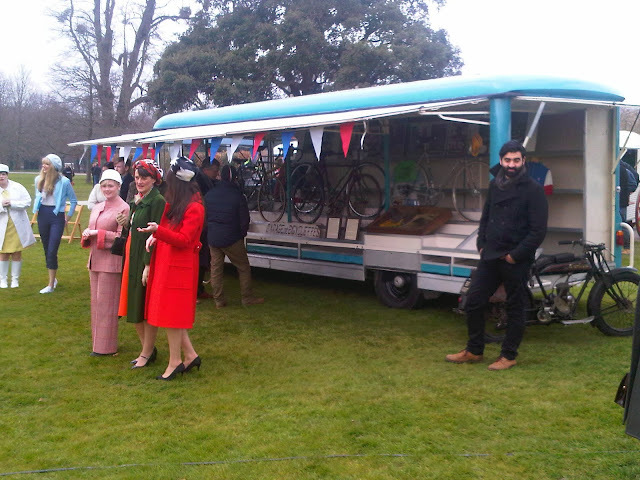 Built in 1965 for the Mariot family of shoe retailers by the respected French coachbuilders ‘CRANSAC’, famed for their eccentric promotional vehicles so often employed on events such as the ‘Tour de France’ in the 1950s & ‘60s, this unique mobile retail outlet was retained by the original Mariot family until Spring of 2012, when we discovered it in South West France. 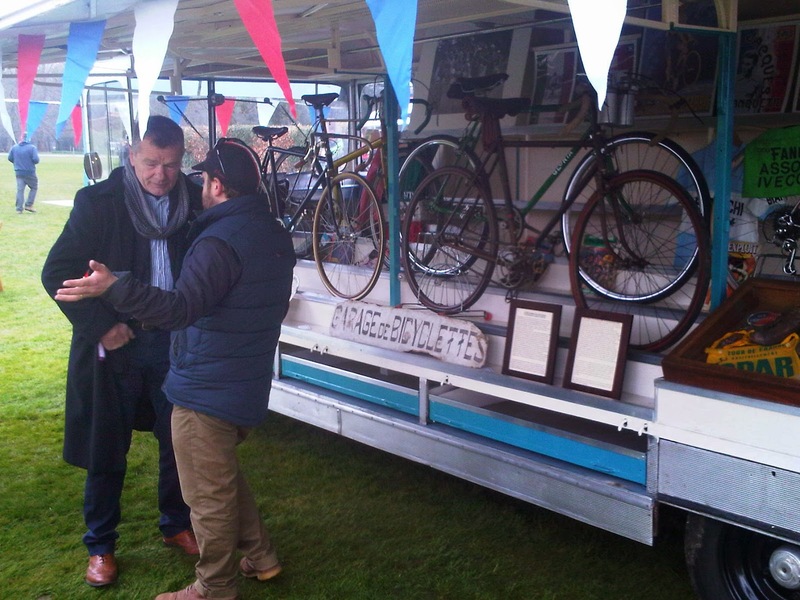 We then shipped it to the renowned classic Citroen restoration specialists ‘Citrotech’ in Holland, where they carried out an exacting mechanical rebuild to Mariot's extended Citroen HY chassis and running gear, which forms the mechanical basis of this vintage mobile shop. Once the mechanical side of ‘Mariot’ was completed, we then trans-shipped it to Drinkwaters in the U.K, commissioning this industry expert to carry out a thorough but sympathetic cosmetic renovation. Completed with Drinkwaters customary painstaking attention to detail, the final touches were applied by Derek Pennicott who restored all the original sign-writing by hand. ‘Mariot’ was then ready for its first assignment at the fabulous Goodwood Revival 2012 meeting where ‘Mariot’ was commissioned to act as the main-event programme sales outlet to the 158,000 historic racing and vintage clothing enthusiasts who attend this world-class meeting. The Goodwood Revival meeting’s ethos is to create a ‘True step back in Time’ and therefore nothing gets used on this centre stage that is not 100% genuine and original – ‘Mariot’ certainly fitted Goodwood's bill exactly. 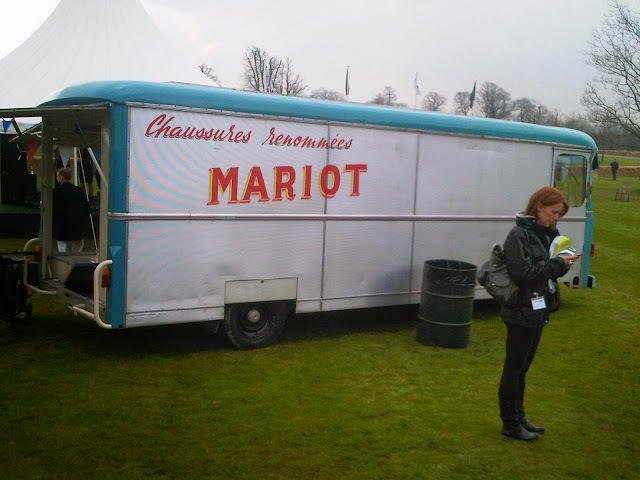 So much so, that Goodwood invited 'Mariot' back as a prime display exhibit at its prestigious Festival of Speed Press Day in March this year. ‘Mariot’ is ready to be used as a retail outlet or could be converted to your desired specification by Drinkwaters, be it for food, beverages or retail/promotions/gallery space. It goes without saying that this vehicle is unique – there is none like it on the vintage festival circuit and it has already proved its credentials at a world-class event (where it will certainly be asked back again). Derek can convert or re-design any aspect of this vehicle to suit your commercial application. American stock car racing as a sport developed out of the need for fast and efficient delivery of illegal alcohol. The pride associated with turning out fast cars needed to outrun the Police developed from rivalry between gangs to organised races in fields or on horse tracks. The early Stock Cars were practically standard road cars, and drivers competed in hard, rough-and-tumble action. 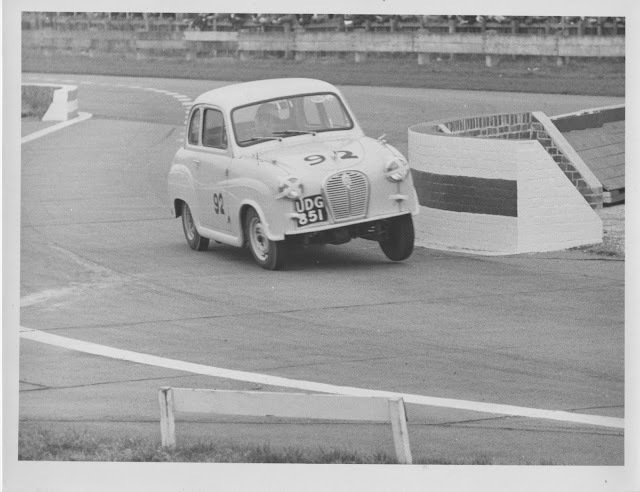 During the early years of the sport – the professional drivers would tow their ‘Sportsman’ class cars from town to town, racing up to five times a week. 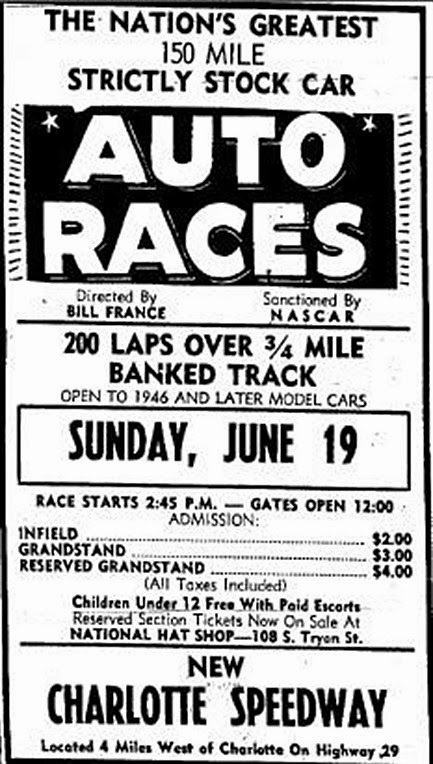 All the rural track surfaces were dirt – as mostly these provincial circuits doubled as horse racing venues. Whilst the cars appeared ‘stock’, outwardly running full bodywork, a black art quickly emerged that produced faster cars from the clever manipulation of standard parts. From these early racers, more sophisticated tuning techniques were developed and after-market tuning parts in the form of twin-carburettor set-ups, aluminium cylinder heads, and quick-change rear axles were to be seen on the more professional ‘team’ cars. 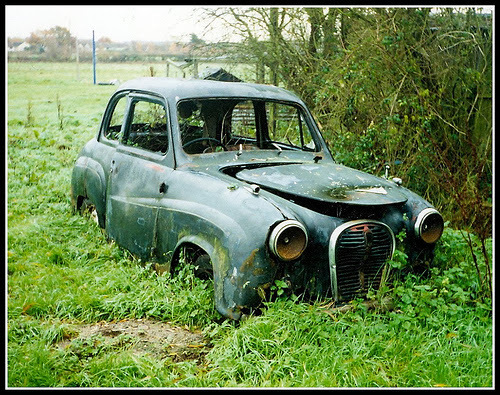 As there was a severe shortage of new cars in post-war America, such race cars were built from pre-war cars. Weapons of choice were coupes and two-door (Tudor) saloons. Carrying less superfluous tinwork than their four-door sedan counterparts, these smaller bodied models were in great demand by racers – and the casualty rate for such cars was atrociously high – and true survivors are very rare. Many of the great stars of NASCAR started out in these self-built cars: Lee Petty, Curtis ‘Crawfish’ Crider, Fonty Flock, Wendell Scott – as did hard man of NASCAR Neil “Soapy” Castles. Neil "Soapy" Castles was born 1st October 1934 in Charlotte, NC. Castles competed in the Grand National and Winston Cup ranks for 19 years before retiring from the sport in l976. He was nicknamed "Soapy" from his boyhood competition in soap-box derbies. A true ‘Redneck’, it was said that if you wanted somebody whacked, “Soapy” would do it for $300, and if you wanted flowers, it was $5 more. 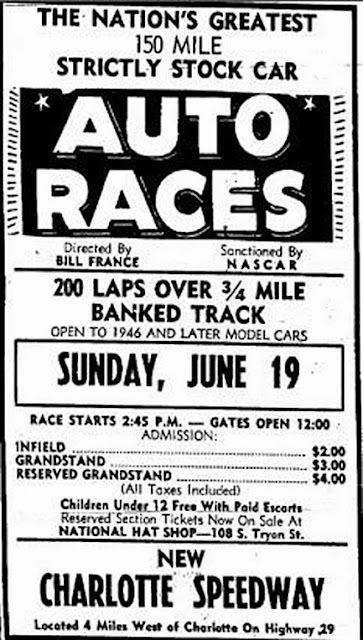 His NASCAR Grand National Division debut came on 20th June 1957 on the half-mile Columbia Speedway dirt track, driving Bill Champion’s No: 5 Ford. Castles was to start 17th and survive the race to finish 18th – and unharmed. 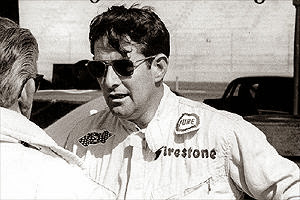 He returned at Darlington Raceway, driving his own No: 68 Ford in which he was to make a further three appearances for a total of five professional major league races that year. 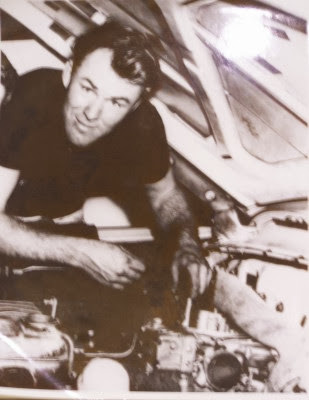 Throughout the ’60s "Soapy" was highly competitive, spending four seasons in Buck Baker's cars and finishing eighth in the point standings in 1965 and ninth in the final standings in 1966. Other than those years, Castles fielded his own cars and was considered one of the leading "independents" -those without a factory-backed program. He was eighth in the standings in his own cars in l967 and then 12th in 1968. His best seasons came in 1969 and 1970 when he was fourth and fifth in the final point standings. During his long career he made 498 starts and although he never scored a victory, he had 51 top-five finishes and 178 top-10 placings. He also performed stunt driver duties in the Warner Brothers film "Greased Lightning" alongside Wendell Scott. Proudly wearing the later Castles No: 06, the 1938 Ford Tudor ‘Sportsman’ stock car offered today comes from the now defunct Rod Long Museum of NASCAR. Restored several years ago at a cost of over $30,000, this original warhorse was prepared especially for Neil “Soapy” Castles to demonstrate at NASCAR events. A high specification ‘Sportsman’ class racer – it features period Edelbrock aluminium race heads on its flathead V-8 engine, fuelled by twin Stromberg 97 carburettors via a rare Edmonds dual intake. A massive roll cage protects the driver, while safety hubs ensure that he will not lose a wheel during contact with another racer. Wide ‘dirt’ race wheels are employed, which give the car a menacing stance and straight through pipes emit a thunderous presence. With all this ‘go’ on tap – it’s reassuring to know that the brakes on this racer use ’40 ‘juice’ (hydraulic) brakes rather than the earlier rod type. This is no ‘Jalopy racer’ but a professionally restored survivor. 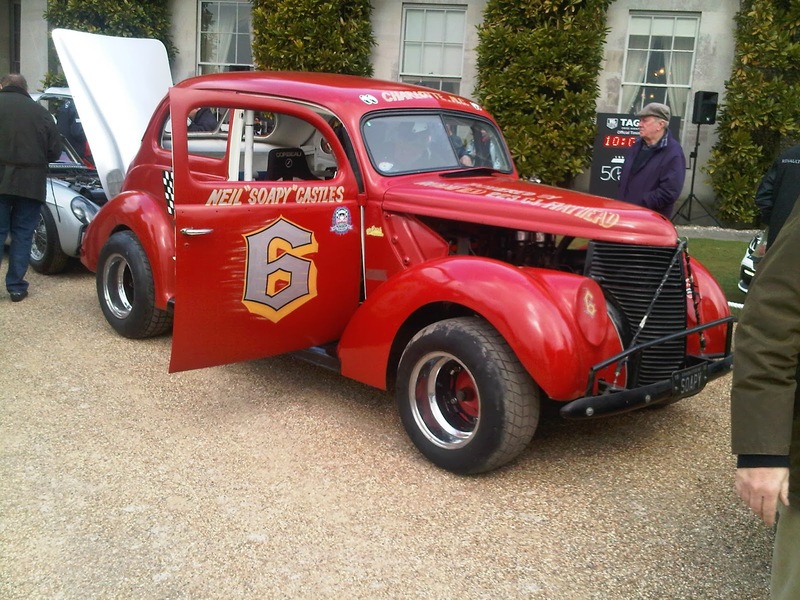 Specialist maintained to a high standard and ‘on the button’ here is an evocative NASCAR racer that has already been seen and much admired at both the 2009 and 2013 Goodwood Festival of Speed. Eligible for both Spedeworth’s THORA vintage stock car series and BRISCA’s Heritage series, this potent piece of Stock Car history is ‘ready to rumble!’ However, earlier this year (2013) the car’s ‘staggered’ suspension set up was converted for track use and this car was taken to Goodwood for a full track test. 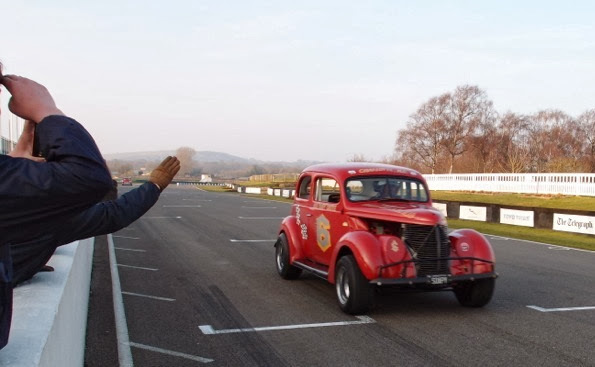 Unlikely as it may sound, the car behaved perfectly on Goodwood’s fast and sweeping circuit – much to the amazement of the other drivers on track! So whether you want to race this as a vintage Stock Car, Drag Race it in the ‘Flathead Meltdown’, participate in the Pendine Sands event or simply Rod it – there’s no question that you will ever find another quite like it (or with such history) in the U.K. This car has been imported into the U.K and is duty paid. It comes with a DVLA approved dating certificate and does not need an MOT! 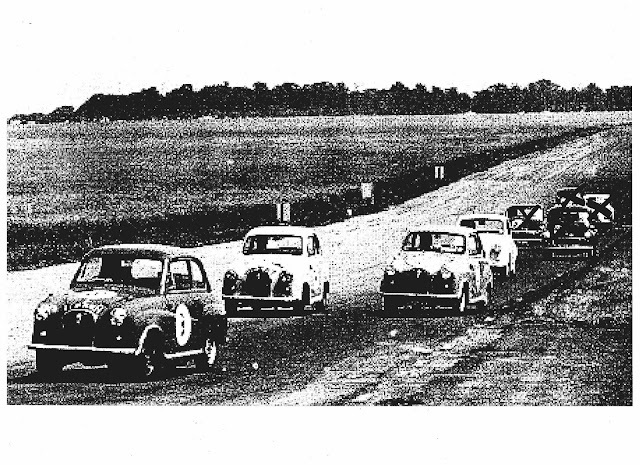 HRDC ACADEMY SERIES - THE ACCESSIBLE ROUTE INTO 'PROPER' HISTORIC RACING! 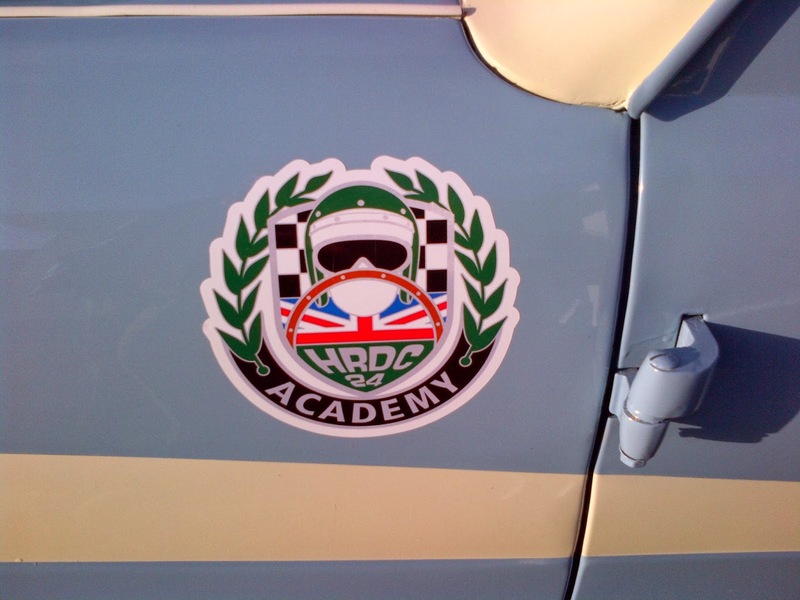 The HRDC Austin Academy, so what’s this all about then? Historic saloon car racing is one of the few flourishing categories of motorsport in the UK today. But this popularity brings with it a level of competitiveness, which in itself brings added expense to improve and push the boundaries and levels of your chosen vehicle. A tried and trusted formula in motor sport to try and ‘level the playing field’ is a 'one make' race series, where all cars are expected to be equal and thus the ability of the driver shines through, or not as the case may be! To my knowledge this has not been tried with Historic saloons (maybe with the exception of Minis) certainly never with Austin A35s! 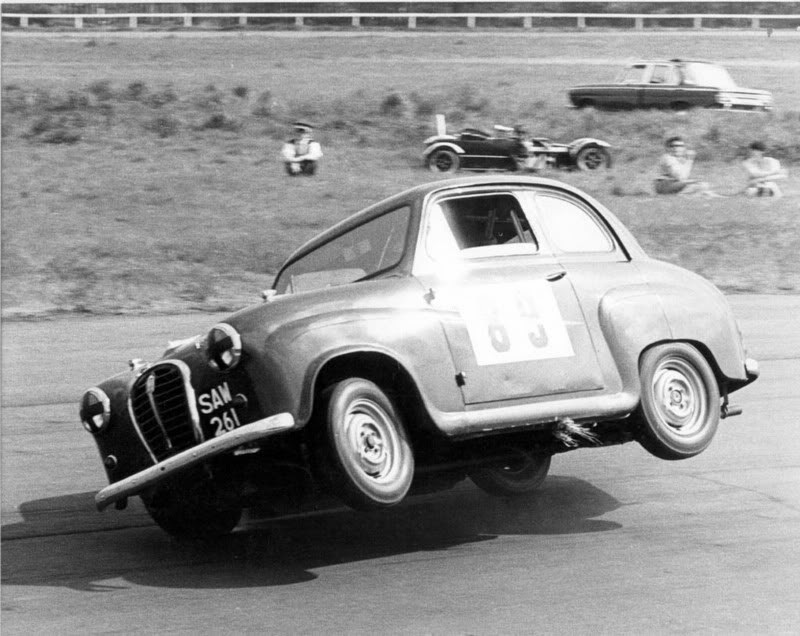 Firstly, the Austin A35 has an iconic reputation as a race car - hitting well above its weight. 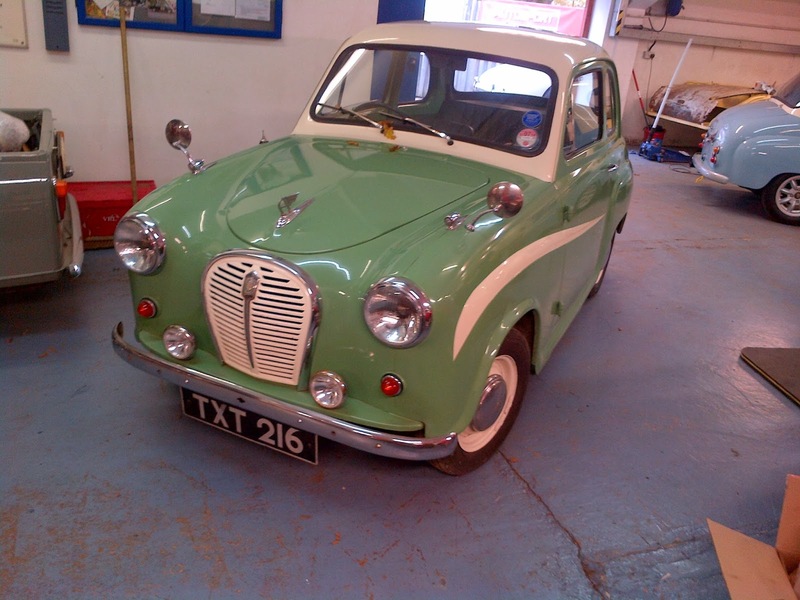 Furthermore, the Austin A35 is still readily available to buy secondhand at sensible prices, £3.5K to £5.5K will buy a nice sound car if you buy wisely. The best advice is to buy as good as you can because welding a car up will not only cost you more than you expect, it will also take far longer than you expect, and your aim is to get on the grid in a reasonable time frame, not getting a suntan from your mig welder! The mechanics of the A35 are tried and tested, and whilst not being cutting edge, these can be surprisingly reliable. The engine / gearbox / suspension / brakes package that has been designed is there to provide beginners - as well as seasoned racers - with a safe and rewarding experience. 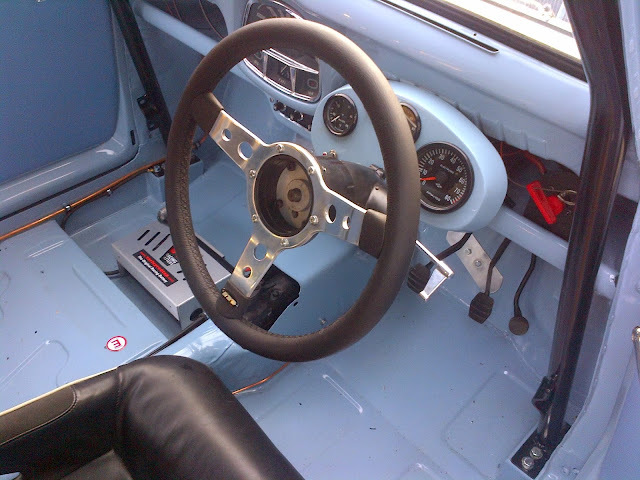 Whilst the specification for the HRDC Academy cars could have gone a lot further with the engine output and sophistication of suspension tuning; safety and reliability have driven the key factors with the Academy project - thus allowing novice drivers to build their experience with a stable and solid tool in the form of a HRDC Academy car. So you have bought your A35, what happens now? 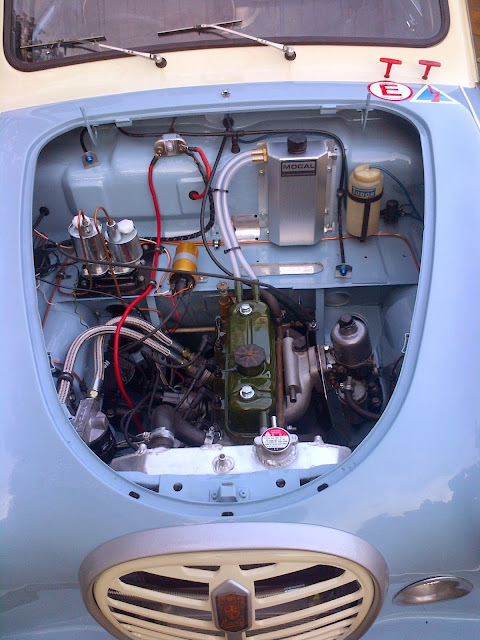 The key elements of the package are the engine, which is a sealed and tested unit, (only available to buy outright from Classic and Modern Engine Services), the roll cage which is a 6-point bolt in with welded-in strengthening plates, (only available from Caged Laser in Somerset), and then the suspension, brakes, auxiliary engine parts, interior and body accessories (available only from Moto-Build Racing). The idea is that you buy the parts from the HRDC suppliers as and when it is convenient to you. During the assembly of your car, there are a certain amount of parts that are mandatory to buy via the HRDC suppliers, but also there are many other parts that are required to complete the car that you can source yourself. These other parts are also available via the HRDC suppliers if required. However if you do source certain items then you must ensure they are suitable for inclusion in your build, so don't be afraid of asking questions before you buy! So you have built the car, what happens now? The car needs to have it’s own HRDC chassis plate and passport, this is to ensure that all cars competing are known to have been built to the correct standard, if during the build you are in any doubt about how to do something or if a part is compatible / acceptable, there will always be someone available at the end of the phone or an email to help and advise. 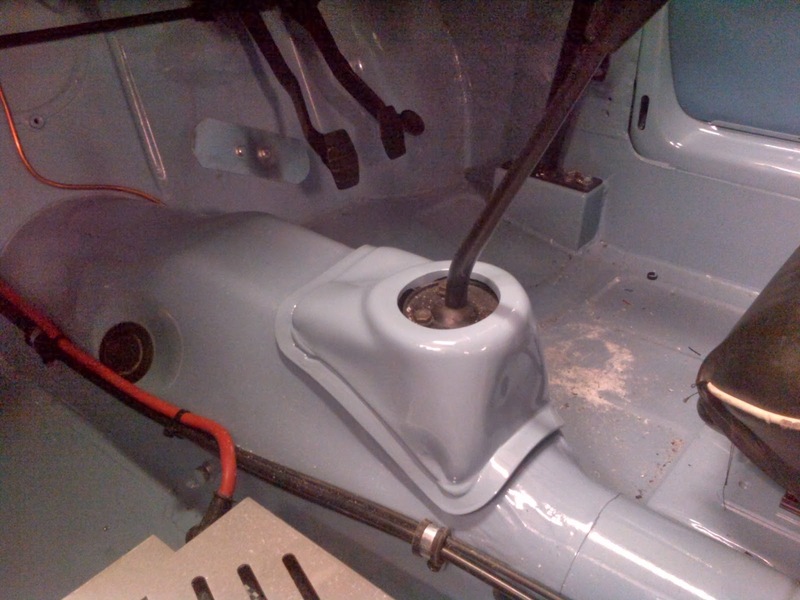 When built the car will be inspected to confirm eligibility, the chassis plate will then be stamped and fitted. 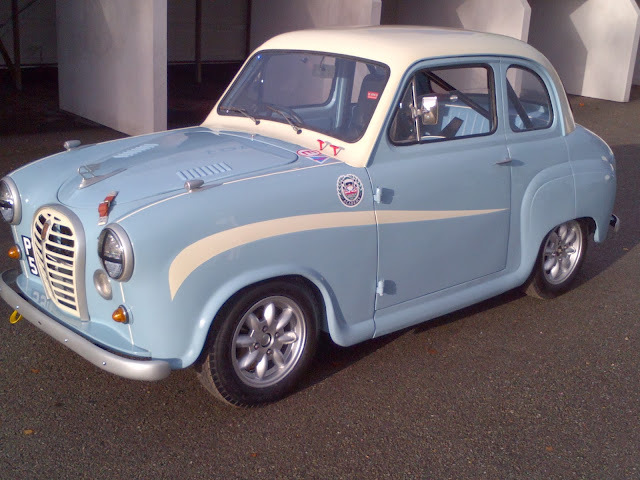 Once it has it’s passport and chassis plate that’s it, off to the first available race with the HRDC! HRDC Academy cars will initially run as a separate class within the HRDC 'Touring Greats' Series for pre-'60 historic touring cars. Once HRDC Academy car numbers increase - a stand-alone Series will be formed. Firstly buy yourself the best car that you can - it will be money well spent! A project like this - no matter how cheap - could be a step too far! THE FINISHED RESULT - WHY WOULDN'T YOU WANT TO RACE IT?